I'm playing with Core Motion (Accelerometer and Gyroscope) of my new iPod Touch 4th. 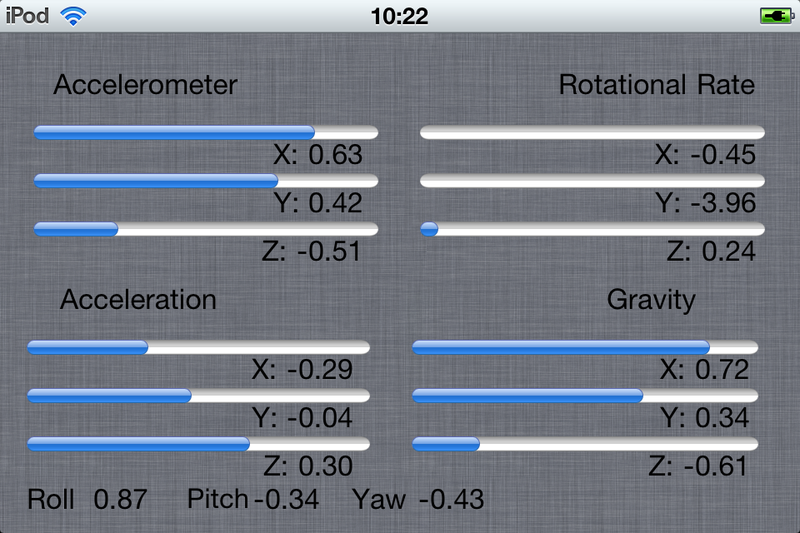 And I've written a simple app to look at the values of Motion Sensors. 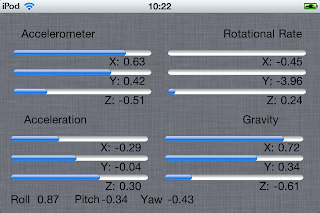 Code is not so much interesting, but it an useful app to check motion values.